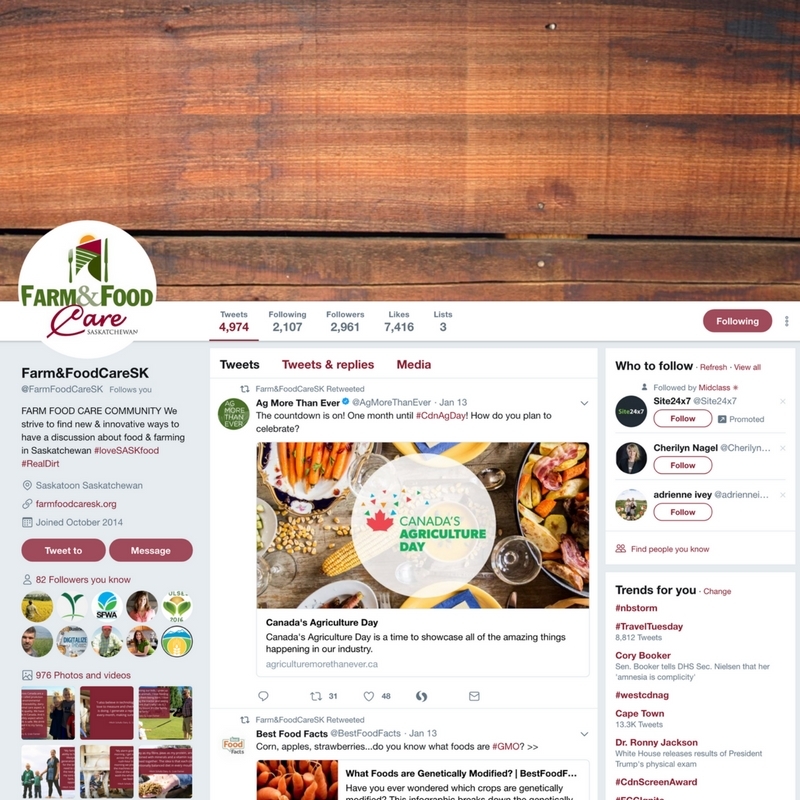 Develop and manage the social media calendar including curation, engagement and content development for Farm & Food Care SK Twitter, #LoveSaskFood Instagram, Farm & Food Care Facebook, Farm & Food Care Instagram and Farm & Food Care Pinterest. Our fourth Farm to Fork tour organized for Farm & Food Care Sk. The tour hosted food writers, chefs, and media dietitians for two days and included tours to a grain, beef and dairy farm. This is the third Farm to Fork tour we have organized for Farm & Food Care Sk. The tour hosted food writers, chefs, and media dietitians for two days and included tours to a grain, beef and dairy farm. We also toured Star Eggs and Great Western Brewing. Participants were encouraged to ask questions and delve into all sides of farming. In 2015 we planned two Farm to Fork tour for Farm & Food Care Sk. One in Regina and One in Saskatoon. The tour hosted food writers, chefs, and media dietitians for two days and included tours to a grain, beef and dairy farm. Our role was to secure influencers and plan every aspect of the tour to encourage interaction between participants and farmers to maximize opportunities to create dialogue and understanding.